If you are looking to trim your large trees this winter, I have a few contacts I can share. Please eMail, text or call. Photo: Chinquapin oak, as all trees, requires proper care. Should you prune your trees in the spring? How deep must fertilizer be applied to reach the roots of your trees? Which species of trees should be topped to keep them from falling on your house? 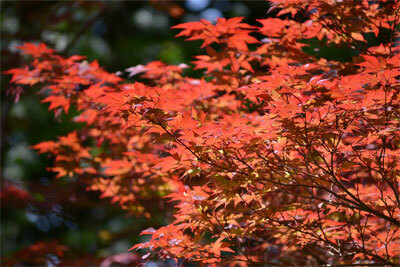 Most homeowners treasure the trees on their property but know little about how to care for them. Much of what you may have heard about tree care is actually incorrect, based on myths and misconceptions. Here are the most common myths of tree care. MYTH #1: When a tree is planted it should be securely staked to ensure the development of a stable root system and a strong trunk. Although it is sometimes necessary to stake trees to keep them upright and allow establishment, there are some adverse effects of staking. Compared to staked trees, unstaked trees tend to develop a more extensive root system and better trunk taper. Allowing a small amount of movement can help root and trunk development. Of course, the worst effect of staking is the possibility of trunk damage from the staking wires or ties. Staking materials usually should be removed after one year to avoid “girdling” the tree. MYTH #2: Trees should be pruned back heavily when they are planted to compensate for the loss of roots. Tree establishment is best on unpruned trees. Although pruning the top can reduce the amount of water that evaporates from the leaves, the tree needs a full crown to produce the much-needed food and the plant hormones that induce root growth. The tree will develop a stronger, more extensive root system if it has a fuller crown. Limit pruning at the time of planting to structural training and the removal of damage branches. MYTH #3: When removing a branch from a tree, the final cut should be flush with the stem to optimize healing. First of all, trees don’t “heal” in the sense that wounds on people heal. Our bodies regenerate tissues in much the same form of the tissues that were removed (to a limited extent). Trees compartmentalize wounds, generating woundwood over the wounded area. Flush cutting removes the “branch collar,” creating a larger wound than if the branch were removed outside the collar. Also, it is likely that some of the parent branch tissue will be removed. The spread of decay inside the tree is greater with flush cuts. MYTH #4: Pruning wounds greater than three inches in diameter should be painted with a wound dressing. Research has shown that the common wound dressings do not inhibit decay, do not prevent insect entry and do not bring about faster wound closure. In fact, many of the commonly used dressings slow wound closure. MYTH #5: Certain fast-growing, weak-wooded trees such as silver maple and Siberian elm should be “topped” to make them less hazardous in the landscape. While topping these trees may reduce the potential hazard at first, they will likely be more dangerous in the future. Topping stimulates growth of twigs below the cuts. Growth of many, vigorous shoots leads to branches with weak attachments. Also decay spreads inside the stubs and branches that were topped. Within 2-5 years after topping, the tree will have regained its height, but will be more hazardous than before the topping. Besides, topping makes trees ugly. Alternatives to topping include thinning, cabling, or removal and replacement with a more suitable species. MYTH #6: The root system of a tree is a mirror image of the top. Many people envision a large, branching taproot growing deep into the soil. Actually, taproots are very uncommon in mature trees. If taproots do develop, they usually will be forced into horizontal growth when they encounter hard subsoils beneath the surface. The entire root systems of most trees can be found within three feet of soil. The spread of the root system however, can be very extensive, often extending 2-3 times the spread of the crown. MYTH #7: Trees require “deep root fertilization” to reach their root system. In most U.S. soils, the vast majority of trees’ fibrous, absorbing roots are in the top eight inches of soil. Roots grow where conditions are best for root growth, where water and oxygen are available. When we place fertilizer 12″ – 18″ deep in the soil, we are putting it too deep. MYTH #8: When a tree has lost a significant portion of its root system such as in construction damage, the crown should be cut back to compensate for root loss. While this is a common recommendation, research has not supported it. Following root loss, unpruned trees seem to respond better than pruned trees. Obviously, any removal of branches will reduce the capacity of the tree to produce food in the leaves. Although the tree will probably lose some branches as a result of the root damage (if the tree survives the trauma), it is best to let the tree decide which ones. Thus, pruning should be limited to hazard reduction at first. Later, after the tree has responded to the damage, further pruning would be in order. Get advice from an arborist, a professional in the care of trees. A qualified arborist can give you sound advice and can provide the services your trees may need. Good arborists will perform only accepted practices. When choosing an arborist, look for ISA Certification, membership in professional associations, and ask for proof of insurance. Be wary of individuals who go door-to-door offering bargains for doing tree work. Don’t be afraid to check references. The International Society of Arboriculture (ISA), headquartered in Champaign, IL, is a nonprofit organization supporting tree care research around the world. As part of ISA’s dedication to the care and preservation of shade and ornamental trees, it offers the only internationally-recognized certification program in the industry. For more information, contact a local ISA Certified Arborist or visit www.treesaregood.com.